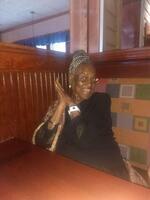 Provide comfort for the family of Alberta Walker with a meaningful gesture of sympathy. Alberta Walker, age 89 , was born January 30, 1930 in Memphis, Tennessee to Jessie Phillips and Luciele Hunter. Alberta went to be with her lord Monday, January 28, 2019 surrounded by her family. She was preceded in death by her parents, 3 brothers; Jessie Phillips, Annison Phillips, and Eugene Phillips, and 2 sisters; Ora Lee Figgures, and Garner Mae Hurt. She leaves behind her legacy to 1 son; Larry Joe Walker, 1 daughter; Janice Tilley, 5 grandchildren, 6 great grandchildren, and a host of other family and friends. Public visitation will be held Wednesday, February 06, 2019 from 1:00 PM to 4:00 PM at Ivy K Gillespie Memorial Chapel, 1865 Eastern Avenue SE. Funeral services are scheduled for Thursday, February 07, 2019 at New Life Church of God-Christ, 1072 Jefferson Avenue SE, at 12:00 PM. Friends may meet with the family a hour prior to services. To send flowers in memory of Alberta Walker, please visit our Heartfelt Sympathies Store. We encourage you to share your most beloved memories of Alberta here, so that the family and other loved ones can always see it. You can upload cherished photographs, or share your favorite stories, and can even comment on those shared by others. 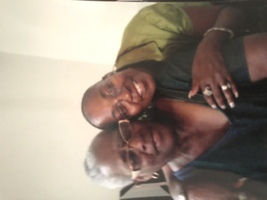 Provide comfort for the family of Alberta Walker by sending flowers.